The inaugural FIVB Women’s Volleyball Nations League tournament wrapped up on Sunday with the United States winning the title in five sets over Turkey. The FIVB announced its $100,000 dream team, including American MVP Michelle Bartsch-Hackley and Team USA middle blocker Tori Dixon. With the dust settled, we now take a look at how the players stacked up statistically. After the preliminary round, Poland’s Malwina Smarzek led the field in points scored with 361, and despite her side missing the Final Six, she remained the top scorer by more than 50 points after all 130 matches were concluded. The outside hitter racked up double-digit scoring efforts in all 15 of her team’s matches, including a tournament-best 39 against Thailand on May 24. Brazil’s Tandara Caixeta moved into second place, tacking on 71 points in the finals to her 231 preliminary points. Team USA’s Bartsch-Hackley moved into the top five in scoring with a 78 point showing in the Final Six (69 kills, 6 blocks, 3 aces). 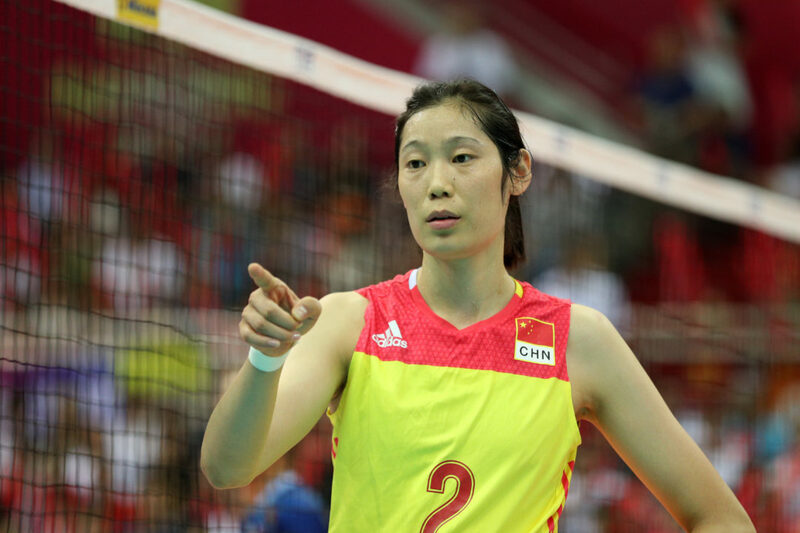 Looking at the numbers from just the final round, China’s Zhu Ting, who was in and out of the lineup during the preliminary matches, posted the highest scoring tally with 87 points (77 kills, 7 blocks, 3 aces). Bartsch-Hackley (78), Caixeta (71), Serbia’s Tijana Boskovic (58) and Turkey’s Eda Erdem Dundar (57) rounded out the top five. The most efficient spiker in the finals was Brazil’s Gabriela Braga Guimaraes, who put away 48.54 percent of her attempts. Bartsch-Hackley finished just outside of the top five in sixth at 40.59 percent. The top blocker in the finals was Brazil’s Adenizia Da Silva, who average 1.08 per set. American Jordan Larson was the top server with eight aces (0.47 per set). Zhu Ting finished an all-around effort for China as the top digger in the finals with 2.43 per set (34 digs). American Kelsey Robinson, who switched to the libero role from outside hitter in Match 3 of the VNL, posted the most digs with 39.